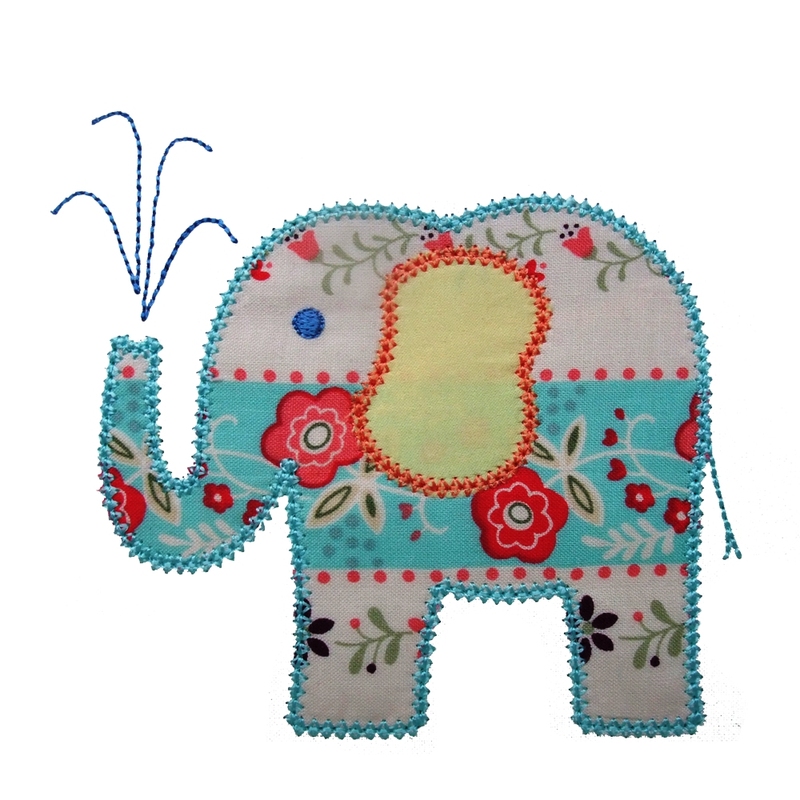 Thank you to little Alexandra for naming this applique design, Elina Elephant. She tells me this is the name of one of the fairies in Barbie's Fairytopia. I like the name very much so here she is...introducing, Elina Elephant! 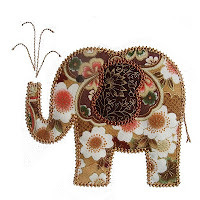 This applique design is one of my favorites. 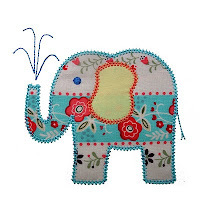 It features a gorgeous Double-Diamond Stitch edge finish which gives ELINA ELEPHANT a dainty but durable outline. 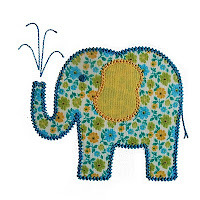 Perfect for children's garments, it's looks especially cute on a t-shirt! Also, makes a splash on the babies bib (pictured below). 4x4 hoop - exact size 3.9" x 3.5"
5x7 hoop - 4.95" x 4.42"
6x10 hoop - exact sizes 5.96" x 5.31" and 6.95" x 6.17"